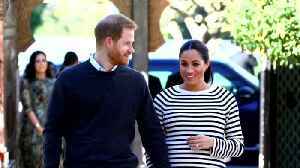 ▶ Videos for "Prince Harry"
Boy or girl, Prince Harry and his American wife Meghan&apos;s first child will be bold and courageous, and Harry will be the more patient parent, according to a U.S. astrologer. Saskia.. 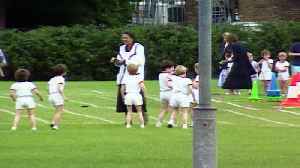 The fifth video in our new 'Royal Baby Countdown' series shows Prince Harry trying his best in two races at the Wetherby School sports day in 1991. Report by Dessentjacksonl. Like us on Facebook at.. 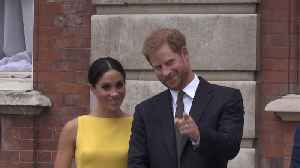 Addressing the impending arrival of the royal baby, officials at Kensington Palace have issued a statement that the Duke and Duchess of Sussex have made the decision to celebrate privately. 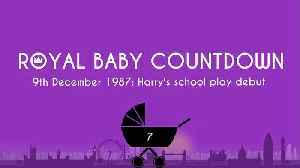 According to Insider, no photographs will be released until several days following the birth. Prince Harry and Oprah Winfrey are collaborating on a multi-part documentary series to inspire viewers to have a "honest conversation about the challenges each of us faces." 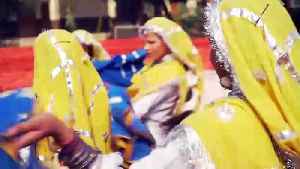 Their series will premiere.. Prince Harry, Duke of Sussex takes part in various activities as he attends the official opening of the Barking & Dagenham Future Youth Zone on Thursday (April 11) in Dagenham, England. The facility..
Oprah needed just 3 words to explain why she picked Apple TV over her OWN network for her new series with Prince Harry ... and it makes TOTAL sense. 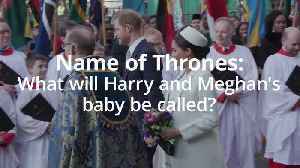 We got O leaving "The Daily Show" Wednesday night..
Buckingham Palace officials announced Thursday morning that the Sussexes plan on keeping the birth of their first child "private," a move from previous royal babies. 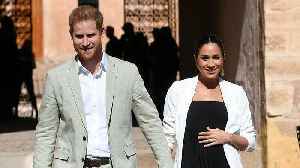 Prince Harry and Duchess Meghan Markle have remained quiet on a birth plan of the upcoming royal baby, but they just released a statement as the due date draws closer. 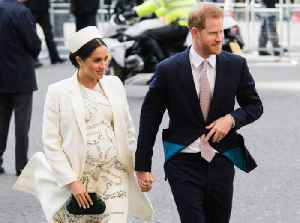 “The Duke and Duchess of Sussex..
"Their Royal Highnesses have taken a personal decision to keep the plans around the arrival of their baby private." 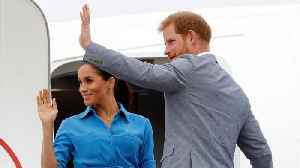 LONDON (AP) — Prince Harry and his heavily pregnant wife Meghan, the Duchess of Sussex, say they have decided to keep plans around their baby’s arrival private. 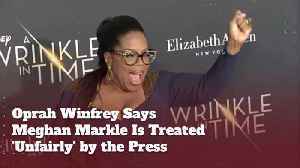 Kensington Palace officials said in..
Oprah Winfrey is sticking up for Meghan Markle. 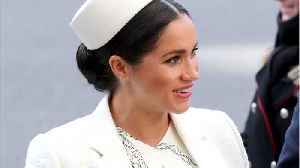 After announcing that she and Prince Harry have teamed up for a mental health series coming to Apple TV+, the 65-year-old TV mogul appeared on CBS This..
Meghan Markle's birth plans: Where will the royal baby be delivered? Meghan Markle and Prince Harry will likely start their own traditions with their first child — and it may start with the delivery room. 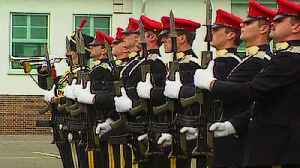 Prince Harry is the latest big name attached to Apple’s upcoming streaming service, Apple TV+, which was formally introduced last month. 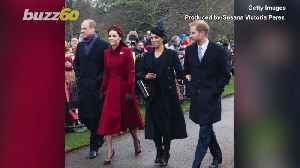 According to an announcement published to Prince Harry and..
Meghan Markle comes under fire from her estranged half-sister yet again in a documentary about Markle and Prince Harry's future royal baby. Prince Harry is joining Oprah in Hollywood ... and it means Apple TV might have the heaviest hitters in town when it comes to executive producers. 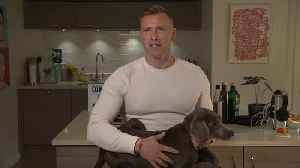 The Big O and the Duke of Sussex are joining forces..
Entertainment royalty and literal British royalty have come together to make television for Apple. That's right, Oprah Winfrey and Prince Harry teamed up to create a multi-part documentary series..
LONDON (AP) — Special plans are being made to welcome the first child of Prince Harry and his wife Meghan, the Duchess of Sussex. Officials said Wednesday that the landmark London Eye observation..
Oprah Winfrey's inspiring speech to Harvard graduates in 2013 almost didn't happen because she was scared she had nothing new to teach them. She reflects on this moment in her new book, “The Path..
Britain's Prince Harry has revealed that he is working with Oprah Winfrey on a documentary series for Apple TV+ about mental health, due for launch sometime next year. The Prince, also known as the..